These easy homemade Christmas recipes include a homemade vanilla recipe and some homemade gifts that will be sure to bring joy to your family and friends! 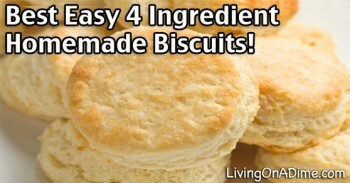 Homemade Christmas Gift Recipes – Make it Meaningful and Personal! This is great to warm cold feet when going to bed or to sooth tight neck muscles. Cut the flannel into a 14″x18″ rectangle. Fold with right sides together, so the rectangle measures 7″x18″. Sew around edges, leaving an opening for turning. Fill with rice and cloves. Hand sew the opening shut. For gift-giving, include instructions: To use as a heating pad, microwave for 1-2 minutes in High. Combine the ingredients in a 1 cup jar, set aside and let steep at least 3-4 weeks — the longer the better. As the vanilla is used, you can add more vodka. You can get 4-5 large bottles of vanilla out of 2 beans. Check Amazon.com for inexpensive vanilla beans. I found this great how to make your own vanilla recipe with some really cute bottles to bottle it. Combine all ingredients in a clear bag or jar. Cut lemon and orange into slices or quarters. Combine fruit, spices, and 2 quarts of water in a large saucepan. Bring to a boil and simmer. Add more water as needed. Cover any left over mixture, refrigerate and reuse. Makes 8 cups. For lots more Homemade Christmas gifts, decorations and more, check out our new Homemade Christmas Kindle e-book here! 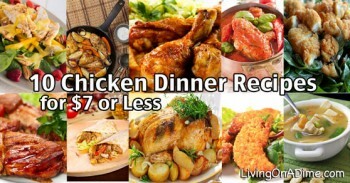 Previous article: Family Meal Planner Week 3 – Barbecue Chicken And More! I love the heating pad/foot warmer idea! Often enough you can find a piece of old flannel clothing that you can use to make the pad with. If you decide to buy material, the sky’s the limit on colors schemes! Buy a larger bag of rice and you can either use the rest for more warmer pads or to feed your family. If you decide to keep the leftover uncooked rice for meals, you may wish to re-bag it for safe keeping. I made a similar warmer and fill it with deer corn instead of rice. LOVE the homemade vanilla idea! Thanks for the good info. I know almost nothing about vodka or any other alcohol, but this homemade version seems to be much more natural than the imitation flavoring I have been using. May have to try it, even though I’m a Baptist. 😉 Perfect timing on the article, with Christmas coming so quickly! Too funny Terrie. We knew nothing about vodka either and the first time we went to get some here was Tawra an 8 month pregnant Baptist walking into a liquor store. We were “praying” that no one would see us and get the wrong idea. 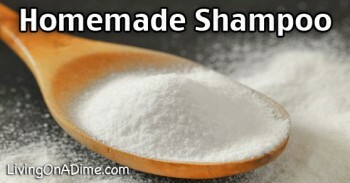 🙂 We did at one time have a lady get really nasty with us about the vanilla but we couldn’t get her to understand that even the real vanilla she bought in the grocery store and used in her cooking was 100% alcohol and made the same way. Anyway it does make really nice vanilla. It’s true that people make a big deal when they see you doing something. I worked at a place where my co-workers knew I don’t drink alcohol, but one day I wanted to make some brownies and homemade goodies for the holidays, and a Christmas party at work,, that called for some liquers so for the first time in my life, I went into a liquer store and low and behold was “catch” by a co-worker who went to work the next day and made a big deal of it claiming I was a “closet” alcoholic. People can be strange in their assessment of things. I never did live that down. I have downloaded the Christmas E Book. Now how in the world do you view it? Not sure why you are having trouble Betty. You can maybe check with Amazon or I will try and get our “IT” guy to get back with you as soon as he can. Make sure you either have the free Kindle application, if you don’t have the actual Kindle that you hold in your hand. Thanks Chris for helping Betty. Does anyone know if you can used corked bottles for the vanilla extract? Yes Tawra has used them and you can. I am a believer and see nothing wrong with a glass of wine with dinner. I can see why Timothy was told to take a little wine for his stomach. Since I have I do not have probelms with IBS anymore but enough said. 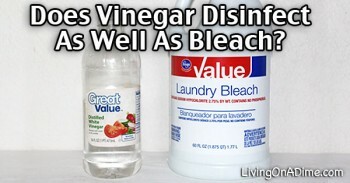 I use essential oils a lot and everclear and water help disperse the oils when used as a spray. Cheap vodka is a whole lot cheaper so I get the LARGE bottle. The guy at the liquor store said to use vodka in place of water for pie crusts, is supposed to make them flaky. Haven’t tried it yet. I keep the bottle in the bathroom under the sink so when the plumber came I had to remember to move it. 🙂 I also put vodka in the toothbrush holder with some peppermint and it makes the bathroom smell good. During the late 50’s and early 60’s Alcoholics who didn’t want it known that they were would go to the grocery store and buy vanilla to drink, because it was made with alcohol. Fooled some people until they started going in and buying out the entire shelf. 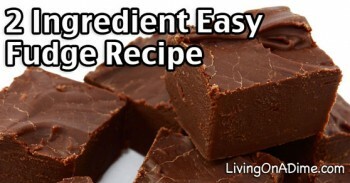 You can do the same thing for peppermint extract. Just stuff a bottle or jar with the mint leaves and add the vodka. My mother used to use cheap brandy for bronchitis. Made you cough really hard and brought up the mucus. When we moved to town the first winter both my boys got it bad and I went into the liquor store and was asked what I was looking for. I said the cheapest brandy. They said they had very nice brandy but it was more expensive. I told them I needed the cheapest as it was for my children. So yes Bea people certainly make assumptions. For a number of years I got some pretty weird looks. But the boys bad coughs didn’t last nearly as long as other children with the same cough. My husband drinks a glass of red wine preferably a merlot everyday and his bad circulation in his legs is gone. Being diabetic this is definitely a good thing. Grandma when I read you asked for the cheapest brandy for your children at the liquor store I laughed!!! The employee there must have thought you were quite a lady! HEE HEE. It just sounds so funny. He really didn’t need an explanation though, since it’s none of his business. I have been making the rice bags for years and love them! You can make them any size and style. I have made long tubes to wrap around my head to ease migraines. One thing I would add is that I make the actual bag with muslin or cotton and make a cover for it. The cover is washable – the rice bag isn’t. I love the idea of adding cloves. Nice touch! When my kids were quite small, we made Christmas wrapping paper in Nov. as a craft project together. We rolled out ordinary butcher wrapping paper (which is sold in bulk in the stores here, and is light brown in colour) and we painted potato cut-out stamps, and printed the paper. The kids loved the project which took several sessions to make. We wrapped everyone’s gifts in it. Years later, after my mother-in-law passed away, we were going through a chest of her ‘most prized’ possessions and found the 15 year old hand printed wrapping paper folded and cherished. My neighbour thought it might be fun to have kids use their hands and even bare feet to replace the potatoes to make prints on the paper—it could work, but you probably need more than one adult supervisor during the process. We also used paper grocery bags as gift bags another year. The kids painted the flat front of the bag, as if it was the front of a building or house. The back of the bag had only the top portion of the bag (near the opening edge) painted to resemble shingles or roofing. When the bags were dried, gifts were simply placed inside, the top rolled down to make a flap and stapled or taped shut, then the bag was put under the tree. The result was a ‘village’ of paper houses, under the Christmas tree. The bags were recycled from grocery shopping, we saved the money on wrapping paper, and it took a burden off of me, as I detest wrapping Christmas gifts. Heya all. Gosh it’s been so long since I’ve had the time to really sit down and read your emails and reply. But this brought back a memory of when I was a kid in the 70’s. Being as I am a southern gal from Georgia and spent many Summer’s on my grandparent’s farm; my granddaddy would give me peppermint schnapps as a cough syrup. It would ususally be about a tablespoon or so. It was the most awful tasting stuff in the world; but it really did work for me. It’s funny; today’s parent’s would completely freak out if they knew some of the stuff that was given to us as kids when we were sick. Maybe sometime I’ll tell you what my mama used to do with Vicks Vaporub…lol.